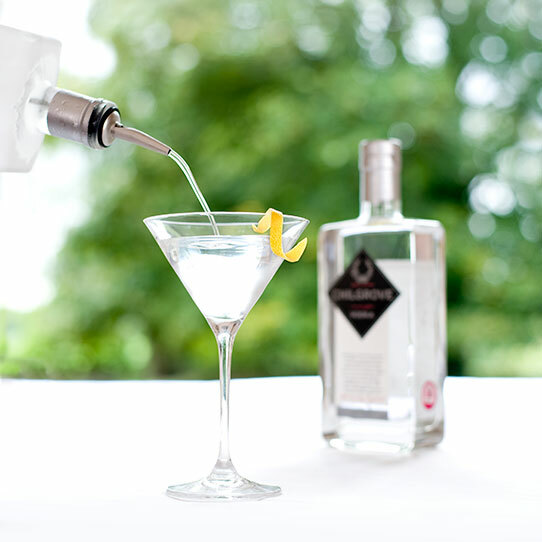 The very first of its kind, this seriously smooth English Vodka is distilled using crystal clear natural mineral water, filtered through the chalky South Downs which surround Chilgrove, together with a neutral spirit distilled from grapes. 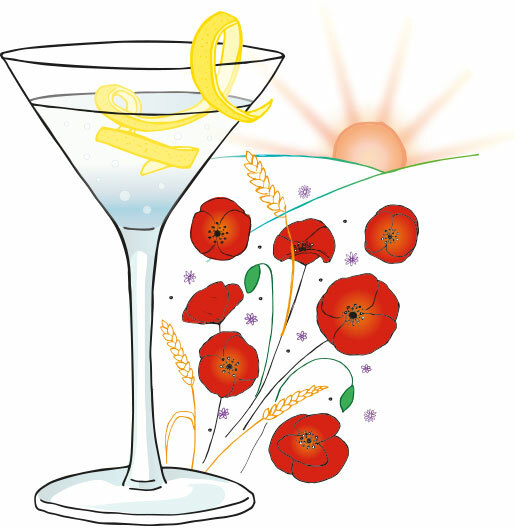 It is this unique relationship which gives Chilgrove Vodka its silky-smooth and elegant character. The idea behind Chilgrove Vodka was conceived in the Sussex hamlet of Chilgrove by founders Christopher and Celia Beaumont-Hutchings. This award-winning new, super-premium, small batch vodka is distilled using traditional methods under the watchful eye of our eighth generation Master Distiller. Clean, neutral and soft with just a hint of fruit alongside faint crusty white bread, fennel and white pepper. Clean, smooth and assertive, soft with very slight earthy notes of black cherry and chocolate. A Good long smooth lingering finish with pepper spice and very faint aniseed. Clean, neutral and seriously smooth. Add chunky ice to a tall glass and add the vodka. Stir in the lemon, Worcestershire and tabasco. Top up with chilled tomato juice and season to taste with celery salt and black pepper. Garnish with a celery stalk and grated lemon zest. Add the ingredients to a Collins glass with chunky ice, stir well and top with chilled soda water. 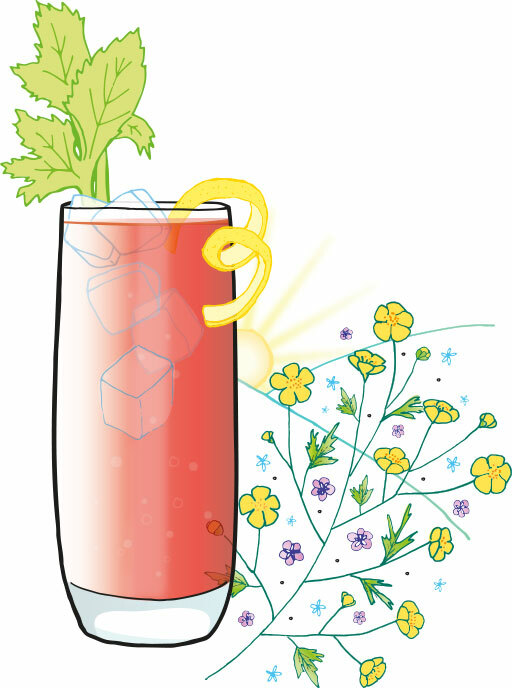 Garnish with fresh raspberries and a lemon wheel. 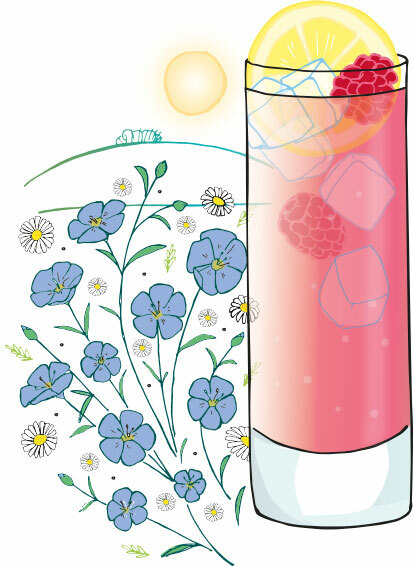 To make the raspberry syrup, simply bring sugar (150g) and water (150ml) to the boil. Add fresh or frozen raspberries (500g), stir well and bring to the boil again. Strain through a sieve and cool. Shake the ingredients with ice and then pour into a large chilled cocktail glass. Garnish with a large, thin-cut piece of lemon peel. 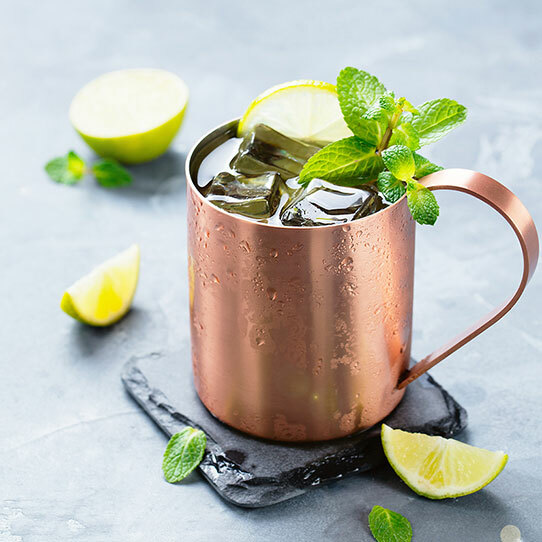 Build the cocktail over chunky ice cubes in a copper mug. 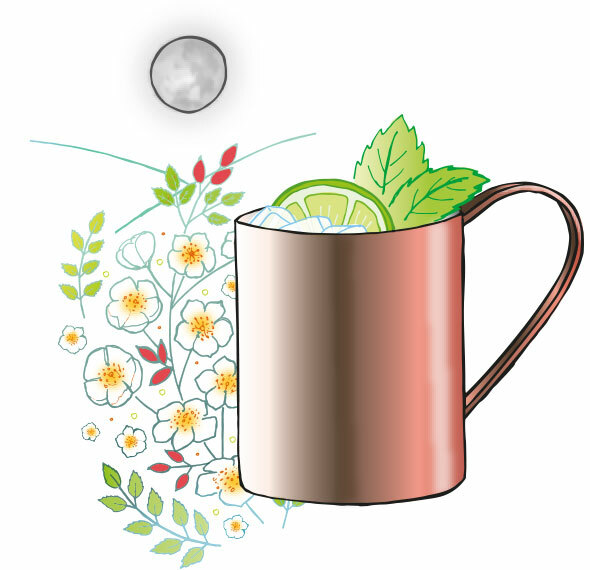 Garnish with a lime wedge and sprig of mint.